When thinking of New Mexico, few Americans think spy-vs.-spy intrigue, but in fact, to many international intelligence operatives, the state's name is nearly synonymous with espionage, and Santa Fe is a sacred site. 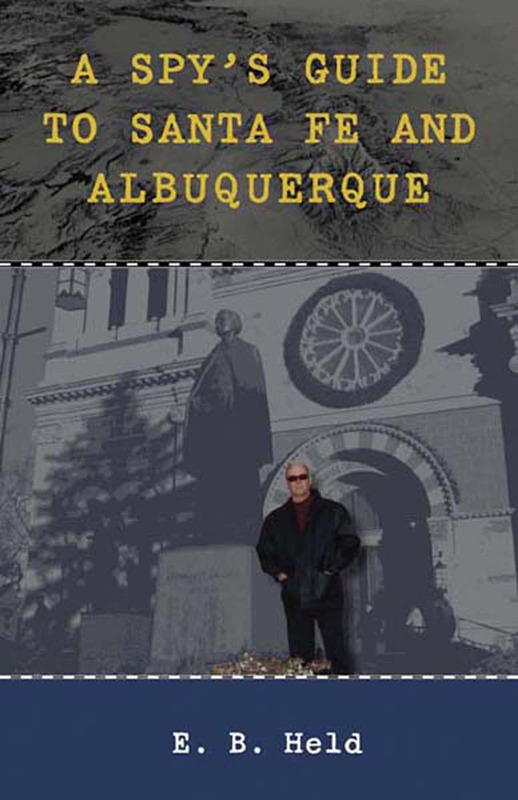 The KGB's single greatest intelligence and counterintelligence coups, and the planning of the organization's most infamous assassination, all took place within one mile of Bishop Lamy's statue in front of Saint Francis Cathedral in central Santa Fe. In this fascinating guide, former CIA agent E. B. Held uses declassified documents from both the CIA and KGB, as well as secondary sources, to trace some of the most notorious spying events in United States history. His work guides modern visitors through the history of such events as the plot to assassinate Leon Trotsky, Ted Hall's delivery of technical details of the atom bomb to the KGB, and the controversial allegations regarding Los Alamos National Laboratory scientist Dr. Wen Ho Lee's contacts with China. Held provides background material as well as modern site locations to allow Cold War enthusiasts the opportunity to explore in a whole new way the settings for these historical events. E. B. Held is a retired CIA clandestine operations officer. From 2002 to 2009, he was Chief of Counterintelligence at Sandia National Laboratories in Albuquerque. He currently serves as Director of Intelligence and Counterintelligence at the Department of Energy in Washington, D.C.